The Eddie Heywood Sextet was very popular in the mid-'40s, playing melodic and tightly arranged versions of swing standards. Heywood's father, Eddie Heywood Sr., was a strong jazz pianist of the 1920s who often accompanied Butterbeans and Susie. He taught piano to his son, who played professionally when he was 14. Heywood Jr. performed with bands led by Wayman Carver (1932), Clarence Love (1934-1937), and, after moving to New York, Benny Carter (1939-1940). 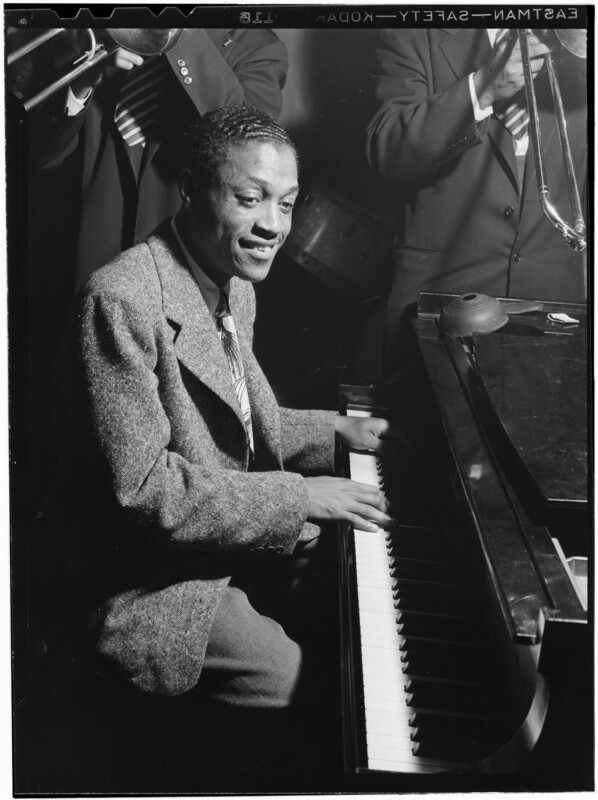 Heywood led his own group from that period on, backing Billie Holiday on a few occasions starting in 1941. In 1943, Eddie Heywood took several classic solos on a Coleman Hawkins quartet date (most notably "The Man I Love") and put together his first sextet, which also included Doc Cheatham and Vic Dickenson. Their 1944 version of "Begin the Beguine" became a hit, and three years of strong success followed. During 1947-1950, Heywood was stricken with a partial paralysis of his hands and could not play at all. He made a gradual comeback in the 1950s, mostly performing watered-down commercial music in addition to composing the standard "Canadian Sunset." Despite a second attack of paralysis in the late '60s, Eddie Heywood continued performing into the 1980s.